Humans have some pretty amazing eyes. We can see nearby and far away objects, our eyeballs can fully rotate within our heads, and the colors we see range from simple and bland to vivid and bright. 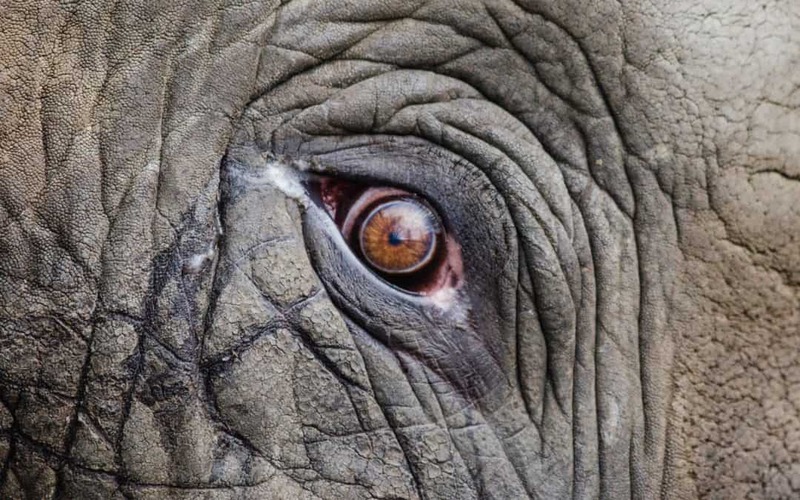 But how do our eyes compare against other animals? We may be the most intelligent species, but are we the best at eyesight? Take a look at these different characteristics of vision and the traits of eyesight in different animals. In human’s eyes, our rods and cones (types of cells) help assemble what we see. But cones only work in the presence of a lot of light, and rods can work in the dark but won’t assemble full color or shapes. In comparison, animals like cats, owls, moths and frogs can see very well in darkness. This is because (in addition to having larger brain-to-eyeball ratios) their eye systems function differently. Some pupils expand more (like tarsiers), some have different membranes (like cats) and others have slower photoreceptors (like frogs). Though nocturnal animals can see better than humans in darkness, they tend to have poorer vision in daylight. Owls have more rods than humans and can see better at 3:00 am, but at high noon their vision can appear out of focus. Humans are lucky enough to see every color in the rainbow, but did you know there are more colors that we can’t see? When it comes to color vision, humans are about in the middle of the spectrum—there are some animals that can see less color and some that can see far more. Animals like felines, canines and rodents see in a limited number of colors, namely grays, yellows and blues. Some animals can’t see color at all, like bulls and whales. Other animals see more colors than humans can. The eyes of eagles, bees and butterflies take in more UV light in addition to traditional colors. The mantis shrimp can both see more colors and see them in higher quality. With our ability to see individual trees on a mountain and detailed cracks on the moon’s surface, humans have pretty look sight at long distances, but we’re not the best at it. Eagles can see motion and the detail of prey in water and on land from hundreds of feet away, far better than what humans can see. A lot of other birds of prey have heightened sense of sight so they can fly high while seeing low. Ever wonder why animals higher on the food chain (like lions and hawks) have front-facing eyes, while lower animals (like cows and toads) have side-facing eyes? Front-facing eyes give predators better depth perception and a greater chance of seeing their next meal. Side-facing eyes give prey a larger viewing area to be able to see the next incoming attack. Humans, like other predators, have about 180-degrees of vision. We have to turn our heads to be able to see any more than what’s right in front of us. Common prey usually have a wider range of vision. Goats can see 320-degrees around their bodies while dragonflies and chameleons have a full 36-degrees of vision. In the end, each animal’s eyesight has been evolved for their own situation. Some deep ocean dwellers don’t need to see colors in such a dimly lit environment, only movement. Pollinators primarily need to find bright flowers, not dark prey. And while it’d be nice to see 360-degrees at all times, we’re happy that eyeglasses fit nicely on our face.